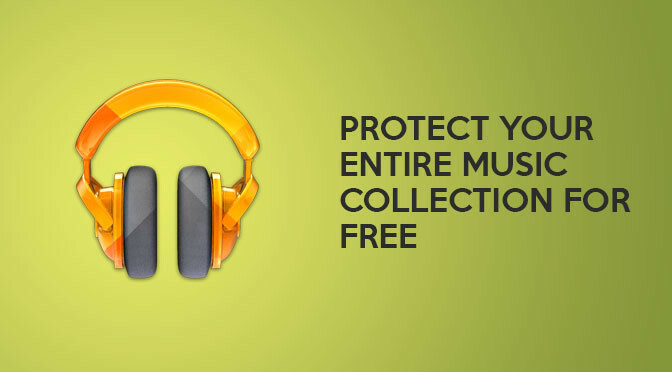 Backup & Access Your Entire Music Collection For Free! If you have a large digital music collection then you’ve probably realised at one time or another that it would probably be difficult to recover if anything were to happen to your computer. Sure, you can make local backups onto external hard drives and the like, which is fine. Until your house burns down. You could also use a cloud based backup service such as Carbonite or Dropbox but they cost money! (Unless your music collection is less than 2GB, you could use the free edition of Dropbox). I was searching earlier for ways to backup some of my data into the cloud and ran across a service offered by Google called ‘Google Play Music‘ which allows users to upload their entire music collection (actually it matches your songs to the music already on Google’s servers, so the only time you are actually uploading data is when there are no matches found). For the impatient types who don’t want to read the rest of the article just click here to get started with GPM. Once all of your music has been processed it will become playable and downloadable from any internet connected computer and up to five other devices such as your smartphone or tablet. GPM will handle your iTunes collection and any other digital music file you can throw at it, regardless of where you “sourced” them from. It will also synchronise any new music that you add to your specified music folders so you don’t have to worry about keeping it up to date. If at any point your computer explodes and your music files are lost you can use the Google Play Music Manager to download your entire collection again. The best part of all this is that it’s totally free. Well, free to an extent; Google Play will allow you to store 20,000 songs, after that there is a small monthly fee involved but the song limit should be sufficient for most users to get away with using it for $0. It is definitely worth checking out if, like me, you have spent a good amount of years building a decent collection of mp3’s and don’t want to lose them. Here is the link to get you started. G'day! My name is Ben and I am a self-employed IT Technician located in South Australia. I began this blog to keep track of some of the methods I use day to day fixing computers. It has since evolved into a reasonably popular website for other's to get help with their own computer problems. Check it out, you might learn something!